The heart and words of Ann Voskamp have struck me to the core again and again as I’ve poured over her blog and savored her book. All is grace, because God is transfiguring all things for His glory. I’ve tried counting the gifts before, but have never been able to stick with it. I’ve let the list-making slide, the thanks-giving sliding with it. But I’ve always snapped pictures of my day, my life. Captured moments of daily grace, God-moments all of them. And now there’s an app for that. 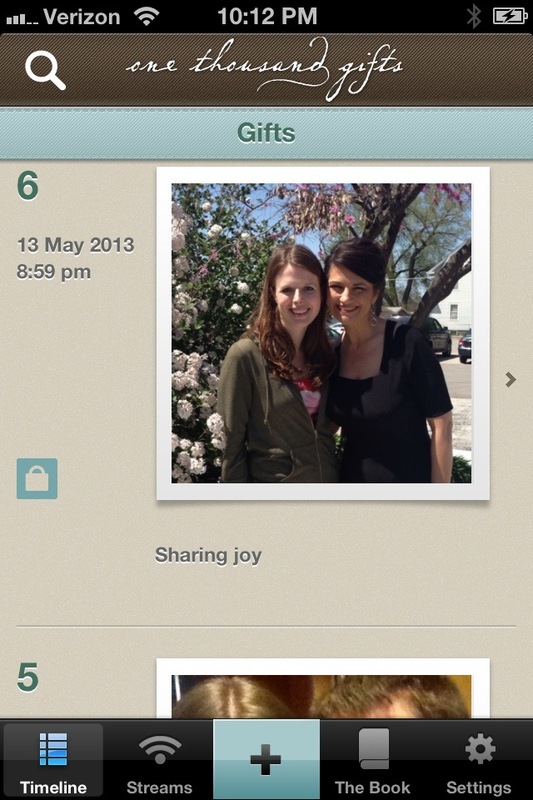 An app, a special place, to hold the bits of grace I find in each day, to help me remember. And I’m thankful. This entry was posted in Uncategorized on 05.13.13 by awastell.